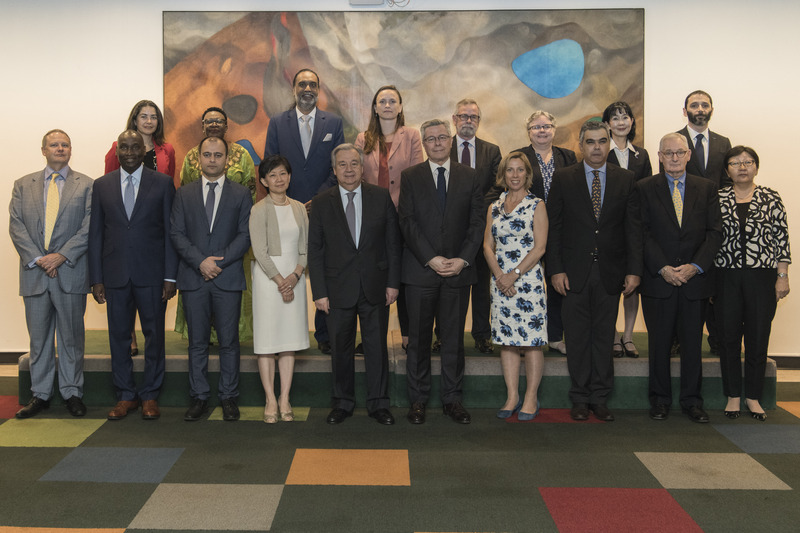 The Secretary-General chooses the members of the Board from all regions of the world for their knowledge and experience in the field of disarmament and international security. There are fifteen members in 2017. The Director of UNIDIR is an ex officio member. The Advisory Board holds two sessions a year, alternating between New York and Geneva. The Board adopts its agenda based on requests from the Secretary-General for advice on specific disarmament issues and upon its own recommendations of items to be considered. The chairman of the Board rotates by region on a yearly basis, and is responsible for submission of a private report on the session to the Secretary-General. Pursuant to General Assembly resolution 38/183 O of 20 December 1983 (A/RES/38/183), the Secretary-General reports annually to the General Assembly on the activities of the Advisory Board.